The firm that runs the .uk net domain name, Nominet, says there should be no radical change to the way that the internet is managed globally. Nominet said it would prefer a system which did not over-regulate the net. The issue of who controls the backbone of the net, such as domains and traffic routing, will be debated at a United Nations summit in Tunisia next month. The European Union (EU) wants control shifted away from the US to a more representative global body or forum. But the US wants to continue its historical supervisory role over the net and rejected the EU's proposals last month. On Monday, US Senator Norm Coleman introduced a Senate resolution calling for the Bush administration to oppose any suggested changes to the way the net is run at the upcoming World Summit on the Information Society in Tunis. He said there was no "rational justification" for moving net governance into any kind of UN framework. He said it would politicise and stifle the net. "Many aspects of running the internet have profound implications for competition and trade, democratisation, and free expression," he said. "We cannot stand idly by as some governments seek to make the internet an instrument of censorship and political suppression. We must stand fast against all attempts to alter the internet's nature as a free and open global system," he added. The US has been the dominant nation which manages the net's core addressing systems and traffic routing because it played such a huge role in funding and driving the early days of the internet. Nominet's director of legal and policy matters, Emily Taylor, warned that any major overhaul could lead to too much regulation. "From Nominet's perspective, nothing radical needs to change in internet governance," she said. "Intervention by governments worldwide, each with their own political agenda and cultural beliefs to uphold, threatens to consign the internet to a future of over-regulation." The US Commerce Department currently approves any changes to the net's core addressing systems, the root zone files, which are in turn managed by the private company, Icann (Internet Corporation for Assigned Names and Numbers). Ms Taylor said that out of the several proposals by countries involved in the discussions for a change in net management, it would prefer a model suggested by Argentina. It would mean net management would remain more or less the same, but a global forum could be created made up of national governments, private sector representatives and civil groups. "We prefer the 'multi-stakeholder' proposal, suggested by Argentina, which provides a balance between the US free market position, and non-democratic nations' (such as Cuba, China and Iran) call for greater state control," said Ms Taylor. Last week, the European Commissioner responsible for the net, Viviane Reding, told journalists that the EU had "no intention" of regulating the net. She talked of a "model of cooperation", which could include an international forum to discuss the internet. Last month the UN's Working Group on Internet Governance (WGIG) published its suggestions to reform the way the net is run, which will form the basis of the debate at the UN summit, between 16 and 18 November. With more developing nations going online, keen to exploit the net's economic and social potential, many feel that the US should not have the biggest say over how the net, and any changes to it, is organised and managed. Option One - create a UN body known as the Global Internet Council that draws its members from governments and "other stakeholders" and takes over the US oversight role of Icann. Option Two - no changes apart from strengthening Icann's Governmental Advisory Committee to become a forum for official debate on net issues. Option Four - create three new bodies. One to take over from Icann and look after the net's addressing system. One to be a debating chamber for governments, businesses and the public; and one to co-ordinate work on "internet-related public policy issues". The US says that these UN proposals would shift the regulatory approach from private sector leadership to governmental, top-down control. 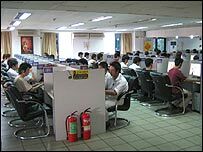 Countries such as Brazil, China and Iran want regulation of the net to be shared by more nations. While Iran is taking part in the UN discussions about who governs the net, it is still committed to clamping down on what Iranians can do and say on the net. The press freedom campaign group, Reporters Without Borders, reported this week that the Iranian government was looking to tighten its control of the net further. It said the authorities were attempting to centralise web filtering technology across the country's different net service providers with a new filtering system from an Iranian company called Delta Global. Reporters Without Borders said it was concerned by statements coming from the company itself about its role. The head of Delta Global, Rahim Moazemi, told the local news agency ISNA in late September that its technology was able to block access to all the tools used to get round censorship. "If what this company's chief executive says turns out to be correct, online surveillance and censorship is to be stepped up," said Reporters Without Borders. 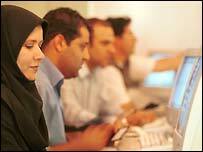 "This is very bad news for Iranian bloggers and internet users."